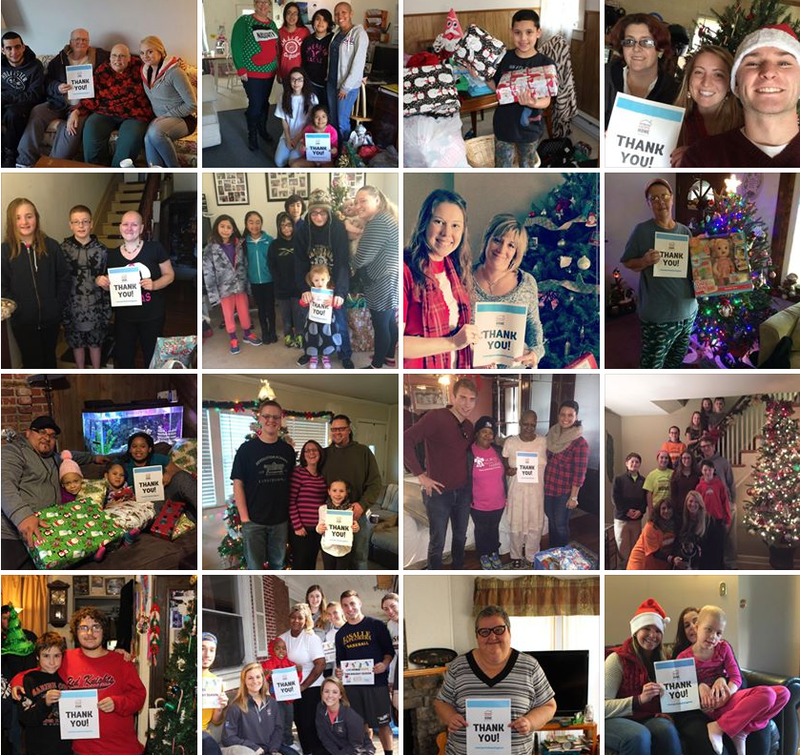 The Adopt-A-Family (AAF) Program pairs Bringing Hope Home supporters with real Families that are struggling due to a cancer diagnosis and are in need over the holidays. It is a wonderful way to come together and remember the true meaning of the holidays: to give back and help others. Through the AAF Program, there are three ways you can participate to deliver hope to Families in need. At Bringing Hope Home all of our families are unique which is what makes them all very special to us! Many of our families are made up single parents and children, and some families are all adults. We also support families who are living alone, while others may have many generations living in the household under the same roof. When signing-up for the Adopt-A-Family Program, please keep in mind that “family” means many different things. The only special request we can honor is the size of the family you can monetarily support. We can guarantee you’ll be paired with a special family, and they will be grateful for the assistance you generously provide! Since the AAF Program began in 2011, 1,278 local Families have been assisted with gifts and gift cards. Over 675 companies, departments, schools, groups and individuals have come together to support the AAF Program. Over 350 volunteers have helped to organize, wrap and deliver all of the items to each Family in time for the holiday. The 2019 AAF Program will launch in October 2019. Please check back for further details if you are interested in supporting a family for the holidays. Thank you! Check out pictures from 2018 Adopt-A-Family Holiday Program here!